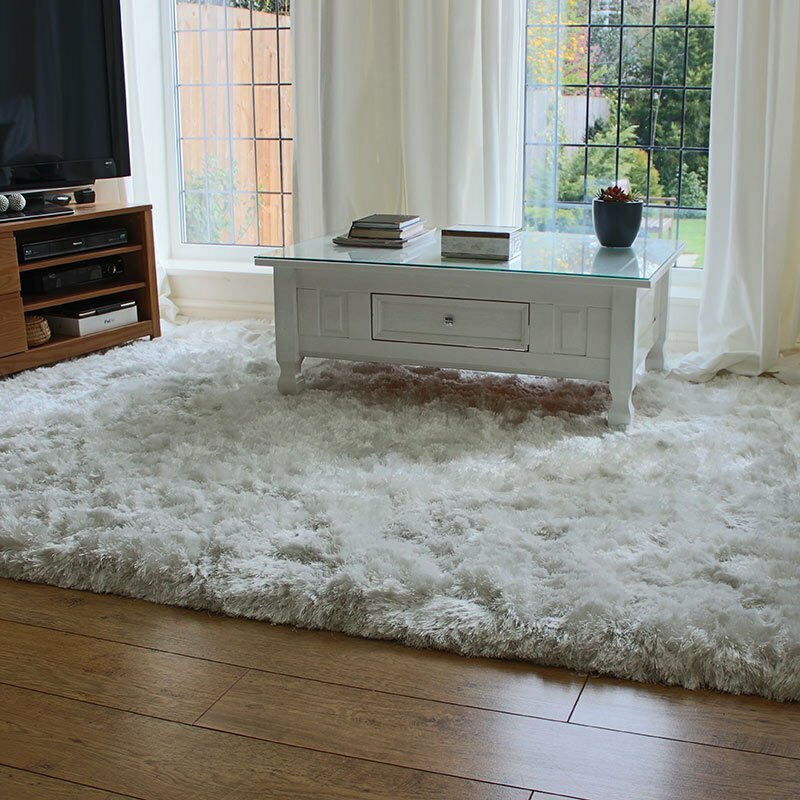 Create a warm, inviting and cosy finish for your room with this seductive Luxmi Solitaire Daria rug in Elephant Grey. The thick soft indulgently opulent pile exudes luxury with its dense yarn which is 75% fluffy Polyester and 25% Silky Viscose. With semi plaited fringes the hand tufted pile features an inlaid diamond and line design which gives depth to the 3D effect and hand sculptured look. Solitaire rugs by Luxmi look stunning on hard floors like wood, vinyl, stone or laminate flooring where the luxurious touchy feely pile visually softens the scene, a scene that is further complemented with the simple yet striking design.